Correction: An earlier version of this story incorrectly said that district administrators in Stonington did not respond to a request for comment. In fact, Stonington High School Principal Mark Friese responded to WNPR in an email before the story was published, and he provided his account of the day’s events, which is now included. Stonington High School junior Caroline Morehouse was excited when she learned that her school would allow students to walkout of class to protest gun violence in a nationwide day of action on March 14. She'd be standing in solidarity with students from Parkland, Florida, who only a month earlier had lost 17 classmates in yet another school shooting. 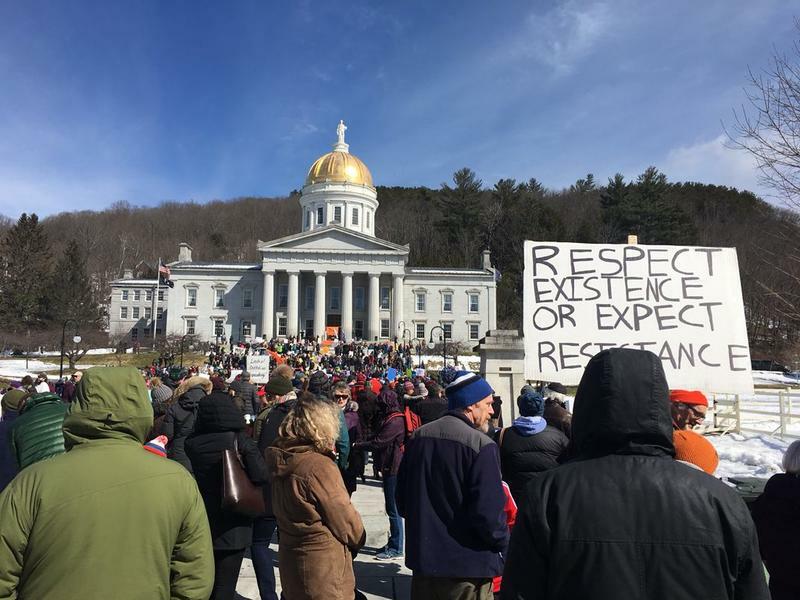 On Saturday afternoon, protesters filled the lawn in front of the Vermont Statehouse — where just the night before, House lawmakers gave preliminary approval to a bill that would strengthen gun control laws in the state. 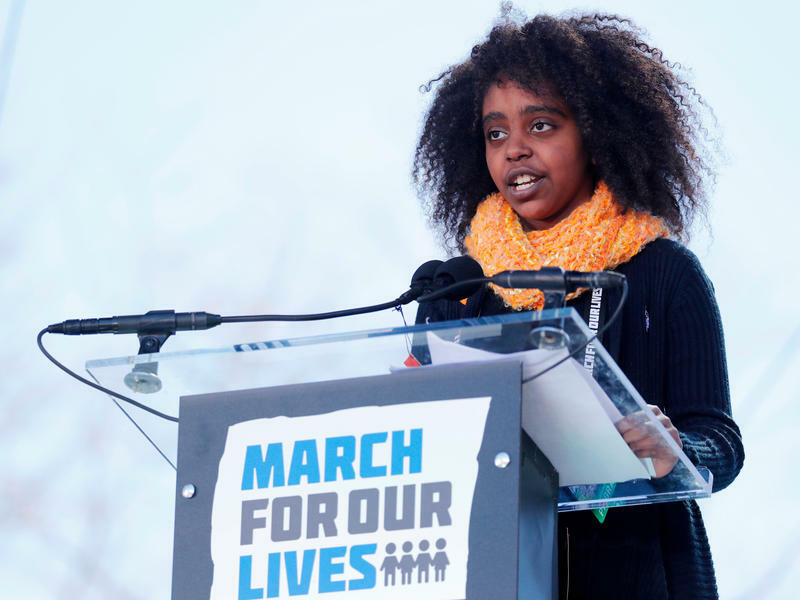 Three Connecticut students took center stage Saturday at the “March For Our Lives” rally in Washington, D.C., organized in response to last month’s school shooting at Marjory Stoneman Douglas High School in Parkland, Fla., that killed 17 people. 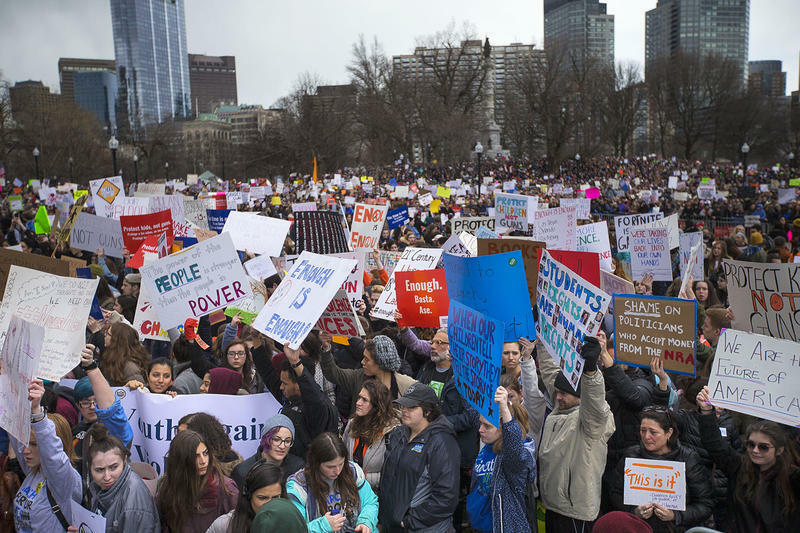 Tens of thousands of protesters gathered on Boston Common for Saturday’s March for Our Lives rally in support of stricter gun laws. 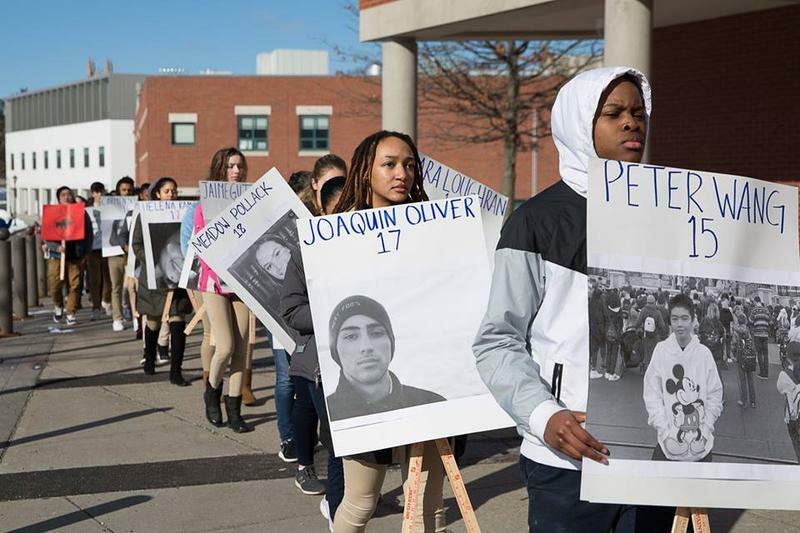 The Boston demonstration against gun violence was among hundreds of protests taking place across the U.S. Saturday in the wake of last month’s school shooting in Parkland, Florida, that killed 17 people. Hundreds Of Thousands March For Gun Control Across The U.S. 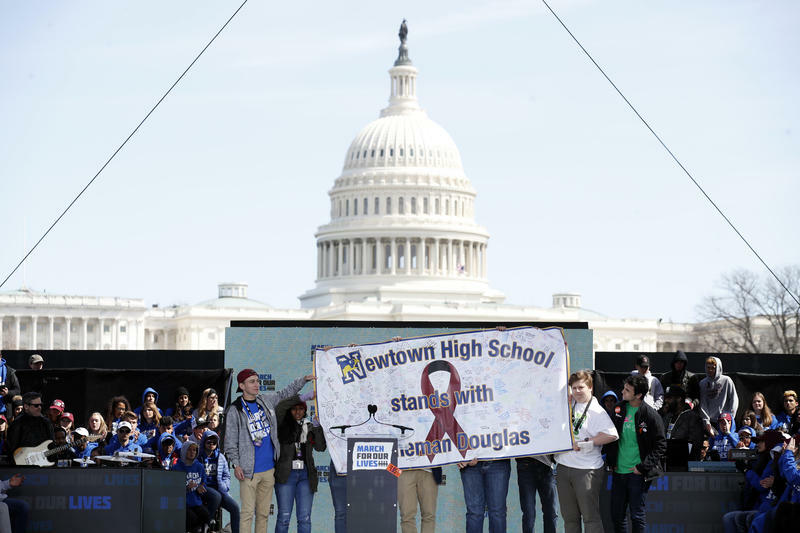 Hundreds of thousands of students, teachers, parents and victims rallied in Washington, D.C., and across the country on Saturday to demand tougher gun control measures, part of a wave of political activism among students and others impacted by school shootings.